When I was little, anime was turning into a big thing. Shows like Dragon Ball Z, Mobile Suit Gundam Wing, Pokemon: Indigo League, Yu-Gi-Oh!, and Cowboy Bebop were all the rage. 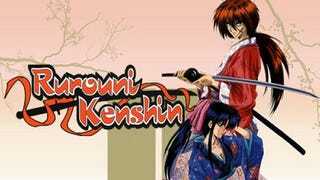 There were some other shows that aired on Toonami of course, and one of them was Rurouni Kenshin, which is truly a classic that, lets get this out of the way now, I highly recommend to just about any fan of anime. Rurouni Kenshin is a story about a wandering samurai named Kenshin Himura, who is actually the infamous Battousai the Manslayer(Not actually a spoiler, just an FYI.) from the Meiji Rebellion 10 years earlier. After wandering into Tokyo and rescuing the owner of a swordsmanship school, Kaoru Kamiya, she lets him stay at the dojo as a boarder free of charge despite his bloody past. Kenshin has sworn to never kill again and lives to repent for his sins and protect the lives of others. The story, at least for the first season, relies both on an episodic approach, and the occassional short story arc ranging from 2 to 5 episodes in length. I never really felt like any of the stories were out of place, and the ones that were one-off episodes often had enough comedy to keep them entertaining. But at the same time, Rurouni Kenshin is a long show. The first 28 episodes are just one season out of three, and trying to drag out a more or less episodic story for that long, it can get kind of tiring. I enjoyed the episodes, but there were multiple times where I contemplated putting it down to go do something else because it’s a time sink with no real payoff. Now, it’s my understanding that the second season has a much longer arc that is one of the best in the Rurouni Kenshin story, so I’m definitely looking forward to that one and that alone makes me want to keep watching. Artistically speaking, Rurouni Kenshin has definitely aged. It aired between 1996 and 1998 so I’m not entirely surprised by this. The quality of the art and animation picks up when it absolutely needs too, but other than those brief moments, it drops down to an acceptable quality that was obviously used to save money. There are many effects used to make characters look like they’re moving or that try to make things look more fluid than they actually are, but it’s noticeable which is a bit cringy. On top of that the sound design is hit or miss. Two swords clashing doesn’t always sound like two swords clashing, it’s more like a “ding” than a “clang.” Sometimes it sounds right, but most of the time it sounds kind of... wrong. However, I will say that the English dub is decent enough. Its not god tier, but for a late 90's/early 2000's dub it isn’t bad and the same voice actor voices multiple characters. Not in the same episode though usually. Then again, there was one episode where I swear Kenshin’s voice actor voiced a random character, which is kind of odd to see since the voice actor for the main character rarely fills multiple roles in the same show(Except for Crispin Freeman. He did one dub where he pretty much voiced the entire main cast for various reasons. There’s actually a Q&A video on Youtube about this.). But otherwise it’s watchable. All in all, while Rurouni Kenshin may not be a masterpiece, I can see why it’s considered one of the greats of the late 90's. When I was kid I had watched a few episodes of it and it was those childhood memories that convinced me to watch the whole thing on Netflix. I will be finishing this show, rest assured, I won’t just stop here. This is just where the first season ended and I felt like writing this now instead of later. So I do recommend you give this show a chance. It may not be for everyone, but that’s fine.